Below you fill find all funeral homes and cemeteries in or near Danvers. Danvers is also known as: Oniontown. Their current mayor is Mayor William H. Clark, Jr..
Zip codes in the city: 01923. Some of the notable people born here have been: David Bavaro (american football player), Nick DiPaolo (comedian and actor), Michael Delaney (lawyer and politician), Patrick O'Brien Demsey (actor), Roger Bagley (cinematographer), Meghan Duggan (ice hockey player), and Mark Tapio Kines (film director). Danvers is a town in Essex County, Massachusetts, United States, located on the Danvers River near the northeastern coast of Massachusetts. Originally known as Salem Village, the town is most widely known for its association with the 1692 Salem witch trials. It is also known for the Danvers State Hospital (one of the state's 19th-century psychiatric hospitals, which was located here) and for Liberty Tree Mall. As of the 2010 census, the town's population was 26,493. It was reported on December 6th, 2018 that Lillian Grossman (Goldberg) perished in Danvers, Massachusetts. Ms. Grossman was 102 years old and was born in Newark, NJ. Send flowers to share your condolences and honor Lillian's life. It was revealed on October 1st, 2018 that Arnold Duane Col "Duane" Westfield died in Danvers, Massachusetts. Westfield was 84 years old and was born in Superior, WI. Send flowers to express your sorrow and honor Arnold Duane Col "Duane"'s life. It was reported on May 30th, 2018 that Patricia A miss Cronin perished in New Port Richey, Florida. Cronin was 53 years old and was born in Danvers, MA. Send flowers to express your sorrow and honor Patricia A miss's life. It was reported by Salem Evening News on April 10th, 2018 that Arlene May "G G" Doble (Larrabee) passed away in Danvers, Massachusetts. Ms. Doble was 90 years old. Send flowers to express your sympathy and honor Arlene May "G G"'s life. It was written by Salem Evening News on April 10th, 2018 that Janice E Dunn (Duran) perished in Danvers, Massachusetts. Ms. Dunn was 88 years old. Send flowers to express your sympathy and honor Janice E's life. It was written by Salem Evening News on April 10th, 2018 that Marilyn A Jordan (Celia) passed away in Danvers, Massachusetts. Ms. Jordan was 81 years old. Send flowers to express your sorrow and honor Marilyn A's life. It was reported by Salem Evening News on April 5th, 2018 that Aristides "Steve" Lima died in Danvers, Massachusetts. Lima was 80 years old and was born in Graciosa A, . Send flowers to express your sympathy and honor Aristides "Steve"'s life. It was disclosed by Salem Evening News on April 5th, 2018 that Sydney Hardy "Hardy" Prince perished in Danvers, Massachusetts. Prince was 99 years old. Send flowers to express your sympathy and honor Sydney Hardy "Hardy"'s life. It was revealed by Salem Evening News on April 4th, 2018 that Charles Francis Boulanger passed away in Danvers, Massachusetts. Boulanger was 85 years old and was born in Philadelphia, PA. Send flowers to share your condolences and honor Charles Francis's life. It was reported by Salem Evening News on April 4th, 2018 that Marjorie Secher (Lee) passed on in Danvers, Massachusetts. Ms. Secher was 91 years old. Send flowers to share your condolences and honor Marjorie's life. Around 1630, settlers converted an existing Naumkeag trail into the Old Ipswich Road, creating a connection to the main cities of Salem and Boston. *The historical event for which Danvers is probably most well-known is the Salem witch trials Hysteria of 1692. *In 2002, Danvers celebrated its 250th anniversary with special events throughout the year. According to legend, the George II of Great Britain rather than signing the charter, returned it with the message "The King Unwilling." On June 9, 1757, however, the town was incorporated anyway, and the King's rebuff was defiantly given a place on the town's seal. *Town Hall was built in 1855 and, though it has undergone modifications and renovations several times, still stands today. 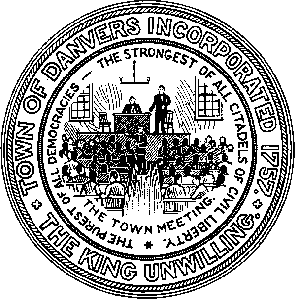 The official website for the city of Danvers is http://www.danvers.govoffice.com. Funerals in Danvers, MA on Yahoo! Local Get Ratings & Reviews on Funerals with Photos, Maps, Driving Directions and more. funerals in Danvers, MA 01923 on Yahoo! Local Get Ratings & Reviews on funerals with Photos, Maps, Driving Directions and more. We work with local florists and flower shops to offer same day delivery. You will find budget sympathy flowers in Danvers here. Our funeral flowers are cheap in price but not in value.